Students and the public are expected to support a learning environment where attire is appropriate and not distracting or offensive to others. Articles of clothing which promote alcohol, drugs, inappropriate language and images, or discrimination of any form are not acceptable. Clothing that is too revealing is also unacceptable. Students who wear clothing that is deemed inappropriate will be asked to change. 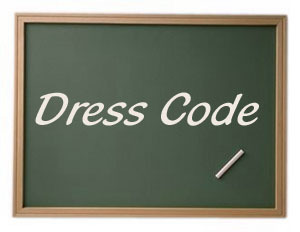 The school administration and staff will determine if students’ dress is appropriate.